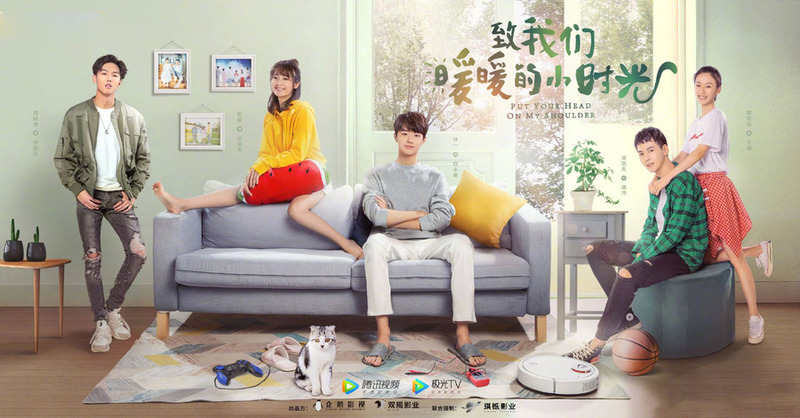 This is the recap of Put Your Head on My Shoulder Chinese Drama Episode 2, Fu Pei asks Wei Yi to explain about he and Situ Mo’s relationship. Wei Yi says that he lay to Teacher Xu because he annoyed him. But Fu Pei points out that Wei Yi completed the test paper. Wei Yi says that he wanted to give Fu Pei a lesson as he avoids the feeling to Situ Mo. Note: From here on out there are specific plot spoilers for Put Your Head on My Shoulder Chinese Drama Episode 2. Fu Fei calls Situ Mo and feels sorry that he didn’t take meal for her. But she says that she didn’t expect him, and rejects to have dinner with him. Wei Yi tells Teacher that he won’t meet Professor Jiang, and asks him not to come. Teacher claims that he just cares Wei Li’s life. Wei Yi claims the protective goggle is only one, and says that he will do the experiment. Teacher has to leave, but Wei Yi opens his drawer, and we see that he has many goggles. Situ Mo spots Fu Pei walking to her at the playground, and remembers he asked to live together. She tells him that she will go on the interview, and he wants to accompany her. But he remembers he has something to do, and tells her to wait for him. She says that she won’t wait for him, but he thinks she will. Wei Yi picks up Situ Mo at the bus stop, and says that Fu Pei asked him to come. He remembers Fu Pei threatened to spread his video if he didn’t accompany Situ Mo. They get in the bus, and she leaves a seat to him. But he sits other place. Teacher shows up, Wei Yi sits next to Situ Mo and forces her to share her earplug. Teacher asks Wei Yi if he considers the case. But Wei Yi claims that he is dating girl, and doesn’t consider it. Situ Mo is surprised but admits it. Teacher thinks Wei Yi’s student card left in Situ Mo’s place, and reveals Wei Yi doesn’t want to see Professor Jiang. But Wei Yi tells Teacher not to ask Situ Mo as he makes decision in his family. Teacher tells Situ Mo to persuade Wei Yi. Situ Mo asks if it was because she took wrong bag. But he says that it’s not her business as the person took wrong bag was him. Situ Mo meets up with the President of the company. He finds out her major isn’t suitable for the job, and asks how many salaries she wants. She says that the salary isn’t important, and she just needs to learn something. Situ Mo is upset and wants to treat Wei Yi meal, but he says that his mood is good. Wei Yi plays spinning top on the desk and says that the place limit his power. Some kids rushes to him and wants to challenge him, but they lose. Wei Yi explains to Situ Mo that his power is larger than the kids so that he won. Wei Yi returns and tells Fu Pei that treated him a meal. Pei Pei sneers at him for spending girl’s money. But Wei Yi thinks girl’s money is still the money. Fu Pei asks Wei Yi if he thinks Situ Mi is pretty or not. Wei Yi remembers Situ Mo leant her head on his shoulder in the bus, but he pushed her head over. He placed a tissue on his shoulder, and let her lean. Wei Yi tells Fu Pei that he didn’t see it carefully. Situ Mo tells the roommates that she had dinner with a funny, and thinks they don’t know him. But Wang Chan points out Wei Yi is the one who fights scholarship with her. Meng Lu thinks Wei Yi is very handsome, but he doesn’t know about it. She thinks Situ Mo only knows to care Fu Pei, so she doesn’t know Wei Yi. Meng Lu mentions Wei Yi is treated as a bad example as he didn’t take student card to attend the exam. Situ Wei runs into Yu Yin and tells her that she wants to meet Teacher Xu. 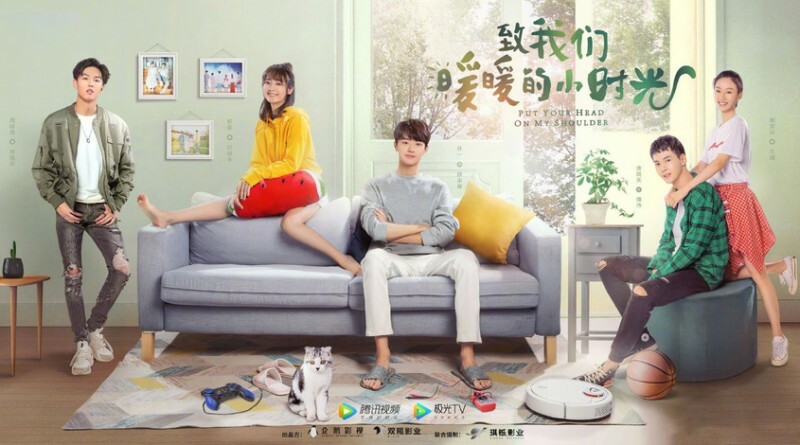 Yu Yin takes Situ Mo to the teacher’s office, and tells Teacher Xu that there is nobody getting accepted by Professor Jiang in his department. Teacher Xu spots Situ Mo and recognizes her as Wei Yi’s girlfriend. He takes her to see Professor Jiang, and helps him to wipe the blackboard. Professor Jiang wants to test Wei Yi’s real level, and gives the test paper of graduate student to Situ Mo. Situ Mo visits Fu Fei, and says that she feel guilty for taking wrong bag. So she tooks the test paper from Professor Jiang. Fu Pei thinks she cannot convince Wei Yi, but she wants to try it. Fu Pei asks Situ Mo if she thinks Wei Yi is handsome or not, and takes her away. Situ Mo finds Wei Yi in the lab and tells him that she took a test paper from Professor Jiang. But he says that it isn’t her business. She explains that Professor Jiang thought Wei Yi isn’t smart, but she disagreed. So he gave her the test paper of doctor because he thought Wei Yi cannot complete the test paper. Wei Yi completes the test paper and gives it to Situ Mo. She notices he smiled first time. He explains that doing math makes him happy. Situ Mo, Fu Pei and Wei Yi have dinner in the hotpot restaurant. Fu Pei keeps flirting with the girls over the phone, and tells the waitress that Situ Mo isn’t his girlfriend. Situ Mo keeps drinking, and wants to introduce a girlfriend to Fu Pei. Teacher Xu passes by and thinks Wei Yi is dating Situ Mo again. Fu Pei is shocked. Situ Mo is drunk and stumbles. Fu Pei tries to help her. But she pushes him away and says that she doesn’t want to live him anymore as he is ugly. Fu Pei asks Wei Yi to explain about he and Situ Mo’s relationship. Wei Yi says that he lay to Teacher Xu because he annoyed him. But Fu Pei points out that Wei Yi completed the test paper. Wei Yi says that he wanted to give Fu Pei a lesson as he avoids the feeling to Situ Mo. Fu Pei says that he and Situ Mo are just friends, so Wei Yi asks Fu Pei why he questions him. Fu Pei stops the girl’s crying, and she thinks he will stay with Situ Mo after graduation. But he denies. Situ Mo thinks Fu Pei is scared, and offers to break up.